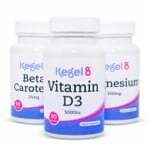 Convenient Kegeling with the Kegel8 Year Pack! Is there anything more frustrating than reaching for your Kegel8 toner to do your pelvic floor exercises, only to find the battery has died? Or that you’ve run out of the great Kegel8 lubricant that makes your Kegel exercises so easy and comfortable? Well don’t fret, we’re about to make doing your pelvic floor strengthening exercises that bit easier and more convenient with the Kegel8 Year Pack! What Do You Get in This Great Pack? 6 x Varta Industrial 9v batteries (product code 8162). These are very reliable and long-lasting batteries. They aren’t the typical batteries you find just lying around the house, so it’s handy to stock up so you’re never without power when you want to do your Kegel exercises or get relief from pain. 2 x lead wires (product code 80833). These wires are what connect your probe or skin electrodes to the unit. If you are a frequent user of your Kegel8 toner (which you should be for best results! ), it’s a great idea to have spares at the ready. 2 x 40x40 skin electrodes (product code 81748). 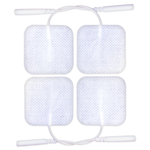 The skin electrodes are used for pain relief and as an alternative to an internal probe for women who do not wish to use one but still want to strengthen their pelvic floor. Electrodes need to be replaced regularly to maintain their efficiency. If you feel you are not getting the same results from your electrodes, it’s quite possible that it’s time to replace them with new ones, so these are great to keep as spares. 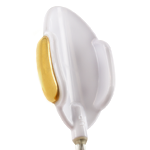 2 x glide gold probe (product code 11207). This is the most powerful vaginal probe on the market today and is gold plated, making it ideal for those with a nickel intolerance. If you have already been using the Kegel8 Gold Vaginal Probe you will know how great it is, if you haven’t, now is the perfect time to start! 2 x lubricant and care pack (product code 91589). Comfort and hygiene are so important when you are using your Kegel8 toner. With the Kegel8 Pelvic Toner Lubricant & Care Pack you can ensure comfort whilst exercising using the paraben-free, water-based lubricant; and know you are using a compatible cleaner that won’t damage your probe. Buying all these items separately would come to a total of £121.86, that means we’re offering you a great saving of £22.86! If you are a keen ‘Kegeler’ and use your unit often, this pack is ideal for you. The Kegel8 Year Pack is ideal if you have the Kegel8 Ultra 20 Electronic Pelvic Floor Toner or the Kegel8 Mother Nurture Electronic Pelvic Toner & Labour TENS Machine, as it has all the compatible attachments and products for those toners. Even if your Kegel8 toner isn’t compatible with the skin electrodes but all the other items are on your wish list, you’d still be making a great saving of £11.88.